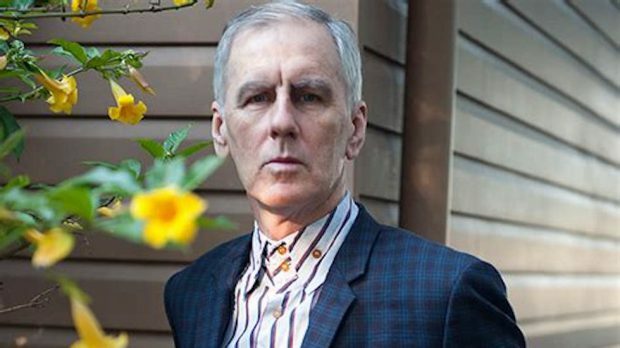 Robert Forster is one of Australia’s most critically-acclaimed and successful Australian singer-songwriters. As co-founder of The Go-Betweens with the late Grant McLennan, Forster fused the spirit of late 1970s CBGBs punk with his own experiences of growing up in suburban Brisbane and developed a uniquely Australian sounding indie-rock that found eager fan-bases at home and across the world. Returning with his fourth solo album, Inferno, BRAYDEN EDWARDS spoke to Forster about how his journey has coloured the release, the art of writing “succinct” pop songs, and how the rest of the world responds to songs about Australian suburbia. The first single from Inferno, Brisbane in Summer, is imbued with your emotions about Brisbane suburbia on a hot summer’s day. How much do you feel that your background and upbringing has influenced your songwriting? To a large extent I am product of the suburbs, and that’s something that will always stay with me – I live there now, and it is very much a product of what I do, and sometimes I write songs that reflect that. I don’t want to relentlessly pursue that, but it’s a part of my work and it’s always something that I have included. With the new album, would you say that there is a common theme across the songs? I don’t write the songs quick enough to get the themes to stick, it takes me four or five years to write them. The songs are quite spaced apart but I hope they are link together and that they talk to each other in a way, and whatever things are there click. I don’t try to impose any order or agenda or them. Is that something you have always done? Yes, I have always written at this pace, since the early 80s, no matter what tricks I try to employ. I’m not in my early 20s, where I need to have something released every year or so anymore. For Inferno, you reunited with producer and engineer Victor Van Vugt, who you worked with on your first solo record. How did that come about? He is just a really good engineer and producer and he had actually done live sound for the Go-Betweens in the 80s so he sort of knows what I do and I just like the sounds that he gets. What he was wanting to do at this moment and what I wanted to do at that moment just coincided. I had a book out in German, and I was promoting it, and he has a studio in Berlin and he just walked in and we got talking and the rest came from there. You wrote a book in German? Oh no, it was translated. I wrote a book called Grant & I which got translated to German at the end of 2017 and when it was launched, I went on a reading tour. Victor must have seen an advertisement about the book tour and so came and saw me when I was in Berlin. That one just grew and grew in rehearsal. Initially, I got together with Scott and Karen in the lounge room in Brisbane to go through the songs, and it grew at that initial point. Then when I went over to Berlin to catch up with the keyboard player, the song grew again. It was just kind of steps, and it kept going from one to another. Usually, the songs I write sort of stay within their bounds or their borders pretty much from their start, but this one just grew and grew in a really good way. The rest of the songs on the album demonstrate your continued desire to keep songs short in a traditional pop sense. What is it about the ‘pop song’ that keeps you coming back to it after all these years? I have always admired a lot of 60s songwriting and that is one of the basics of what I do, what I lean on, and if you listen to a lot of those great 60s songs, they’re all two to three minutes long and a lot of good information is in there, and over time, it’s become a bit bloated. I am always for editing and I think a good songwriter is able to knock things over in two minutes 30, two minutes 50. If things go for five minutes or so, then I go there, but I like editing, and I like getting things concise and going for impact. The recent Go-Betweens documentary Right Here was very well received. Did you enjoy the process of going over the history of the band or was it difficult for you? The whole process was good, they were very nice people doing it, Kriv Stenders (Director), and his team were great. From my perspective, you do days of filming and answer a lot of questions and it all boils down to five or six minutes, so I understand that it has to be quite tight and you know they have to take certain snippets to make the film good for the viewer, but you do end up wondering why some things get chosen above others, and that can be a little bit difficult to view. I have heard a lot of people say that your solo work and that of The Go-Betweens characterises the sound of Queensland (much the same way that The Triffids do for WA). Do you hear more contemporary bands that sound like you and recognise your influence on them? Occasionally, I do. In the hope that we could somehow one day do a touch of what they do or incorporate things that other bands did. So if bands do it well I think it’s good. I hear it now and then and it’s very flattering. Who were those bands that you and Grant McLennan looked up to, particularly in the early days when you were starting out? Bands like Talking Heads, Television, a little bit of the Ramones. The Lovin’ Spoonful, The Easybeats. I’d say Bowie too as I really liked him, but how do you emulate that style with a young group? Also from the perspective of 1978, to do that is formidable and different to what we were doing, though I still admire him a lot. Finally, I really like the video for Inferno (Brisbane in Summer). Was that your idea and was that your garden being mowed in the video clip? It’s the director’s garden in Ashgrove and it belongs to Denny Ryan. The idea of being in a suit and mowing the lawn, my wife Jenny came up with that idea. I sometimes don’t have a very good visual imagination, so I was happy with what they came up and I think it turned out quite well.